This week in #patientsafety, we marked Patient Safety Awareness Week. We want every week to be patient safety awareness week, so we published an article about saying so. We also shared a story written by a mother whose son died after a nursing error. From around the web, we highlight research on sepsis and opioid prescribing practices. We also direct you to an article from Canada looking at whether patients should feel comfortable taking opioids after surgery. Patient Safety Awareness Week Needs to Be Every Week. We join others in calling on leaders to make every week patient safety awareness week at their healthcare facilities. A Nursing Error Led to My Son’s Unexpected Death. This is the story of how the unmonitored use of patient-controlled analgesia and nursing errors led to the unexpected death of a mother’s only child (and how it might have been prevented). 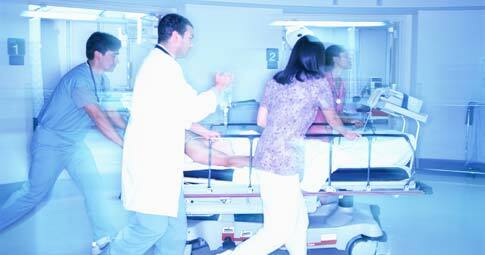 Researchers Identify Biomarker that Predicts Death in Sepsis Patients. Duke scientists have discovered a biomarker of the runaway immune response to infection called sepsis that could improve early diagnosis, prognosis, and treatment to save lives. Surgeons were told to stop prescribing so many painkillers. The results were remarkable. Despite the clickbait-y headline, this Washington Post article is legitimate and tells the story of how Dartmouth-Hitchcock Medical Center reduced the number of opioid pills they prescribed. Should I be concerned about taking opioids after surgery?. For those in Canada, here’s a Globe and Mail article asking whether patients should be afraid to take opioids after surgery. The comments are worth reading; and share your opinion if you feel it appropriate to do so. This week in #patientsafety, all quiet on the PPAHS front. We’re working on a few longer-form pieces and podcasts, so stay tuned! From around the web, our top news picks for the week focus on ambulatory care, sepsis, and painkiller prescriptions in Canada. The Joint Commission publishes ambulatory care, office-based surgery chapters. The chapters describe how ambulatory care organizations and office-based surgery practices apply The Joint Commission’s requirements for patient safety. Sepsis drives more readmissions than medical conditions tracked by CMS. Sepsis accounts for more 30-day readmissions and is more costly than heart attacks, heart failure, chronic obstructive pulmonary disease and pneumonia, according to new research in JAMA. Guidelines for prescribing painkillers are silent on acute-pain treatment. In Canada, new national standards for prescribing painkillers do not address treating patients with acute pain–and some are questioning whether Health Canada’s rejection of a request to expand the scope of the standards was the right decision. This week from PPAHS and around the web, we celebrate our 5th anniversary with some sharable tips for improving #patientsafety. We’ve also found 2 great studies and an interesting infographic about the opioid epidemic. Sepsis occurs when chemicals released into the bloodstream to fight the infection trigger inflammatory responses throughout the body. This inflammation can trigger a cascade of changes that can damage multiple organ systems, causing them to fail. A recent Vital Signs Report issued by the CDC finds that sepsis begins outside of the hospital in nearly 80% of patients. Additionally, 7 in 10 patients with had recently used health care services or had chronic diseases requiring frequent medical care. The report continues with 5 key steps clinicians can take to prevent sepsis from occurring.